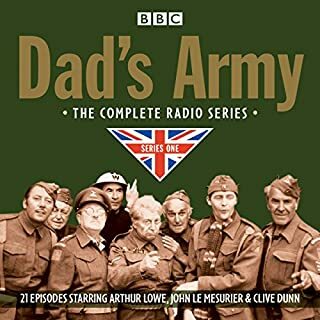 Twenty-six episodes from the third BBC Radio series starring Arthur Lowe, John Le Mesurier and Clive Dunn, plus the pilot episode of It Sticks Out Half a Mile. 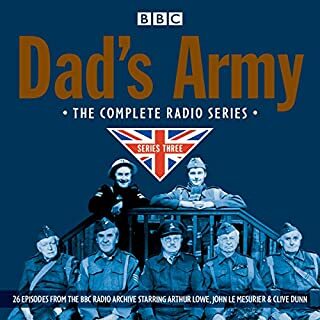 In 1973 the BBC adapted its hit wartime TV series for radio, featuring the original television cast and characters. Three series were broadcast between 1974 and 1976, with episodes adapted by Harold Snoad and Michael Knowles. 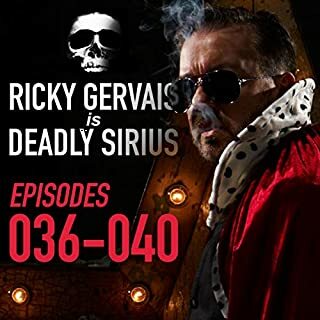 Starring the cream of UK writer/performers and comedians over its lifetime, including Simon Pegg, Sue Perkins, Miranda Hart, Nick Frost, Bill Bailey and Armando Iannucci, this is the complete and utter award-winning silly panel game that's not about music, sport, advertising or hats. 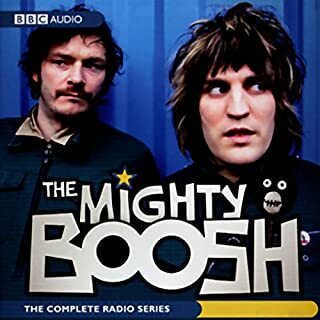 The Mighty Boosh is unlike any show you are ever likely to hear, and one that defies description; the closest you could get to the unique style of Julian Barratt and Noel Fielding would be in the early days of Reeves and Mortimer, with their cardboard props and men with sticks. 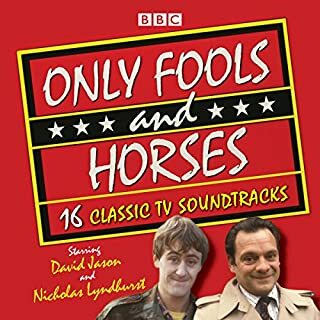 A bumper collection of classic fun and games from one of BBC Radio 4's best-loved and most enduring comedy panel games. The inimitable Humphrey Lyttelton is in the chair for these 36 hilarious editions, collected together for the first time. He presides over regular players Tim Brooke-Taylor, Barry Cryer, Graeme Garden and Willie Rushton, plus guests including Stephen Fry, Tony Hawks, Andy Hamilton, Paul Merton, Sandi Toksvig and Jeremy Hardy. 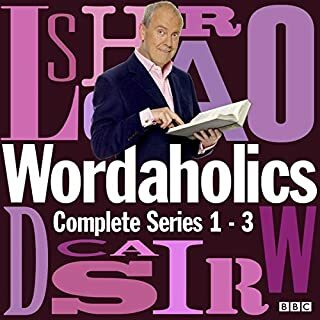 This witty and unexpected show brings you toponyms, abbreviations, euphemisms, old words, new words, cockney rhyming slang and Greek gobbledegook. Find out the meaning of words like giff-gaff, knock-knobbler and buckfitches; the difference between French marbles, French velvet and the French ache; hear the glorious poetry of the English language, as practiced from writers varying from William Shakespeare to Vanilla Ice; and spend time laughing and learning with some of the finest Wordaholics in the business. 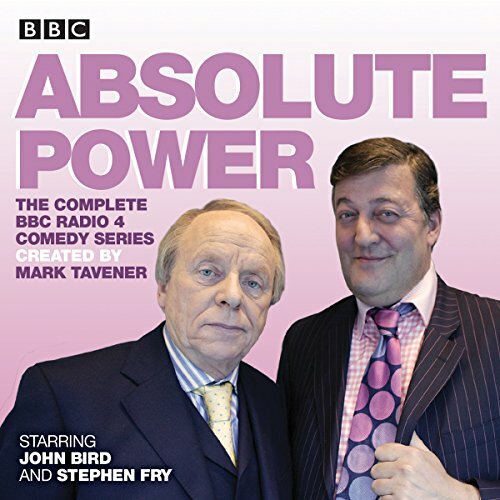 Stephen Fry and John Bird star in all four series of the BBC Radio 4 satirical comedy, plus the 2006 special episode. Set in the Machiavellian world of modern PR, Absolute Power introduces us to London-based 'government-media relations consultancy' Prentiss McCabe, whose partners Charles Prentiss and Martin McCabe are frequently embroiled in the machinations of the British political system. Prentiss is ruthless, unscrupulous, and will go to almost any lengths to pull off a big commission, while McCabe does have a moral compass, but is too laid-back and fond of claret to use it very often. In episodes that could have been written yesterday, the duo's targets for makeover include the Conservative Party; The Sun; the Mayor of London; the Church of England; Radio 3; English sporting success; the elderly; prisons; the Prime Minister; the Health Service; a Big Brother star; a tennis pro; men; the BBC; 'the notion of Nation'; healthy eating and the US Presidential Campaign. 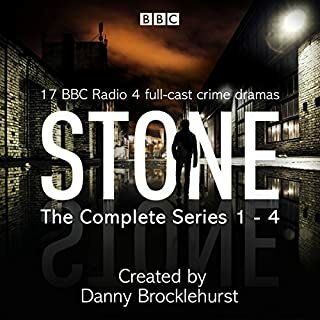 This complete collection includes all 21 episodes of the four series, first broadcast between 2000 and 2004, plus the special 2006 episode. 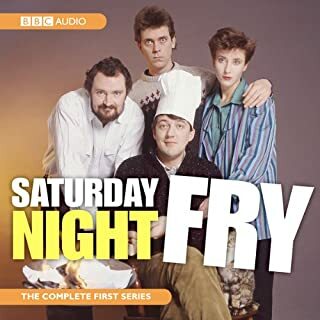 Stephen Fry and John Bird star as Charles Prentiss and Martin McCabe, with Tamsin Greig as rival spin doctor Gayle Shand. funny! I was surprised how very pointed the satire was against the government and celebrities. Some people are meant for greatness. Others are meant to listen to audiobooks. Go and buy the audiobook Morris. 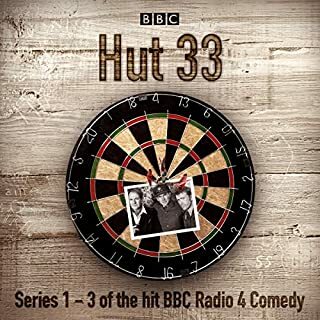 If you like British Radio comedy, this is a good option. It pokes fun at all classes of British society. Witty, bite -sized comedy wondrfully performed. Characters slightly dated now but that doesn't detract from the enjoyment at all. Recommended! 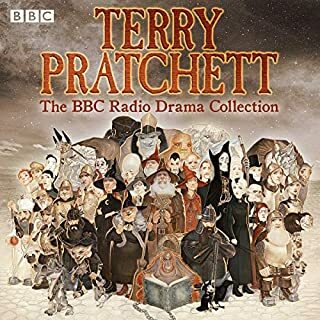 I'd missed this on the radio, and it was an impulse purchase that I quite enjoyed, but I think it has dated a bit and with less stellar a cast it might not have kept me listening right through. Great fun in parts, and great performances. 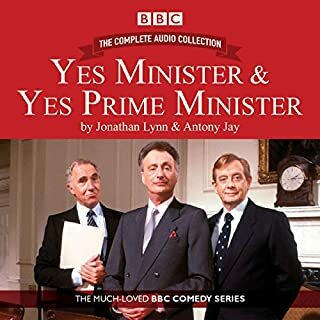 A great political comedy, although the references are not current to today's political news they are relevant to the past, which if you have not been living under a rock you will know what they are referring too. The actors play the parts well and execute the rolls with the dry wit they require. A comedy about New Labour spin doctors that in some ways is getting dated but in too many others is a relevant now as it was then. Either way it is laugh out loud funny. 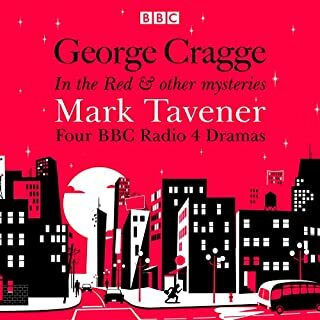 Another radio 4 comedy that is so much better than the TV adaptation that followed. What did you like most about Absolute Power? The combination of Stephen Fry and John Bird as a double-act, along with the ludicrous situations they find themselves embroiled in is hilarious. Two episodes in, and I cannot wait to see what they get up to next! Very funny episodes that cover topics that are still applicable today -if you like the House of Cards you'll love this. 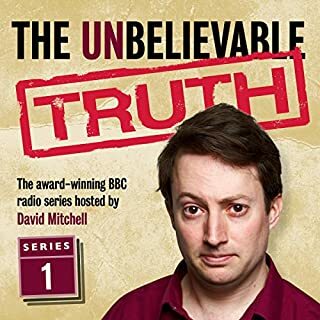 I only heard a few of these short, highly entertaining comedy slots when they were first broadcast on BBC Radio 4 and so was pleased to get this compilation of 22 episodes from the early 2000s. It’s a fast-paced comedy based on the exploits of two unprincipled but bungling media consultants played by Stephen Fry & Join Bird. Much of the satire is at the expense of Tony Blair’s administration, in power at the time these programmes were broadcast. Interspersed among the political jibes are numerous funny scenarios as the hapless pair try to promote or bury stories about various organisations or people. 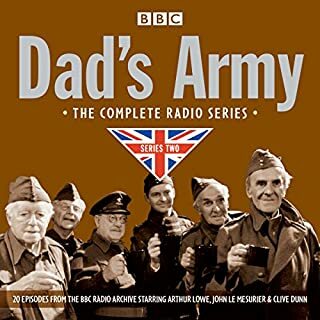 The recordings are full of witty dialogue and some hilarious double-entendres performed with great zest and obviously relish by a talented cast. It certainly cheered up some gloomy midwinter days when cooped up by bad weather. Though the humour pokes fun at a by-gone time, the satirical force largely survives, as most listeners will remember the people and events, some of which still influence politics and life today. Some humour is everlasting. This is not. It is sadly dated with humour based on topics of the day that has not stood the test of time. We gave up listening after about half an hour.